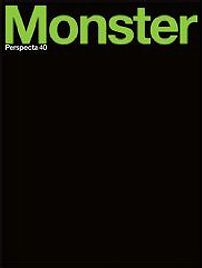 - Edition : Perspecta 40 Monster (August 2008). Isozaki never presents the metaphorical human body as a complete system closed on itself, but on the contrary, it is seen as an assembled organism of amalgamated fragments. The architect is not solely seen as the life-giver, able to create the permanent infrastructure of the city that sustains the growth of its organism. According to him, the architect also needs to foresee the state of decay of the body he has created: death should not be eradicated from the realm of aesthetics, because it enriches the dominant narratives with the poetry of paradox. Certainly, Isozaki’s comment does not only apply to the city, but also to the status of human creativity at large –a view that has its conceptual antecedent in European Romantic thought, which Isozaki is well aware of. In other words, art can only allude to perfection by expressing its aesthetic absolute in a state of decay. Film Review "Philip Johnson: Diary of an Eccentric Architect" (Barbara Wolf, 1996) and "Philip Johnson: Self Portrait" (John Musili, 1985). and adopted from him the belief that change is the only constancy. The medium of the moving picture therefore appears to be singularly best suited to capture this character, who was passionate about constantly relating his thoughts with the help of words, grimaces as well as gestures. It is as if the narrative aspect of the film medium duplicated his idea of “procession” in architecture, always leading from one surprising event to the next, and never standing still in one place. This is indeed Philip Johnson. The two documentary films "Philip Johnson: Self Portrait" (John Musili, 1985) and "Philip Johnson: Diary of an Eccentric Architect" (Barbara Wolf, 1996), separated from each other by a decade, hinge on the idea of Johnson thinking aloud about his art. Both films weave in a survey of his wide range of different aesthetic dispositions in his buildings, with the undeniable entertainment value of his relentless commentaries and explanations. 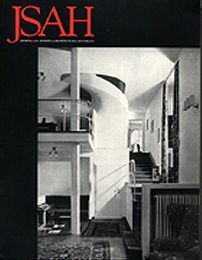 In both cases, the spectator is offered a demonstration of this architect’s mercurial wit at the basis of the social persona for which he was notorious by the time of his death in January 2005, at the age of 98. 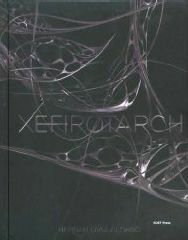 Abject Architecture in Excessive Xefirotarch by Hernan Diaz-Alonso 2008. He understands that in the process of teleportation, the encryption of his body was mixed with the one of a fly, and hence, his metamorphosis starts to make sense to him. At the same time, while turning into a fly, Brundle progressively loses the capacity to think in human terms, that is, to conceptualize what is happening to him. Not unlike Cronenberg’s aesthetics of horror at the crossing point between technology and biology, Xefirotarch invites architecture back into the Petri Dish of forms. Here too, forms undergo mysterious geometrical alterations, and architectural tissues are bred as if an “other” code had clandestinely infiltrated the process, the nature and purpose of it remaining unbeknownst even to its authors. The enigmatic strangeness of the forms has attracted a wealth of metaphors, including those from the worlds of oceanic depths –monsters, jellyfish, aliens and grotesques –all groping towards finding a workable nomenclature to speak to the intermediary effects that emerge from the experimentations. Without a doubt, Hernan Diaz-Alonso, the lead-scientist of Xefirotarch, invented a machine for teleporting architecture into a different space, which eschews many of the classical themes of architecture’s discipline. A virus with an alleged purpose has been implanted, but the “disease” it has been causing is not diagnosed yet. Diaz-Alonso’s facility with computer technology stems from his Columbia University training in the nineties, augmented with an undeniable West Coast sensibility, bred on Silicon Valley software and the special effects of the L.A. movie industry. Throughout a diversity of projects, encompassing a wide array of scales and programs, conceptually, Xefirotarch’s work has a categorical emphasis on morphological experimentation. The work ranges from the designs of a hand-watch or an ear-phone to exhibition stands, building extensions, buildings and even master plans for cities. Sometimes Xefirotarch’s forms appear hermetic to intellectual scrutiny, while at other times, they are openly referential of biology and botany. As such, the Concert Hall for Busan in South Korea is quasi-reptilian, the Sur project for MoMA’s P.S.1 is reminiscent of the carcass of a mammal, and the U2 Tower project’s forms in Dublin remain enigmatic and opaque to referential readings. In each case, the peculiar formal aspect of this architecture begs for an investigation of the motivations behind them.